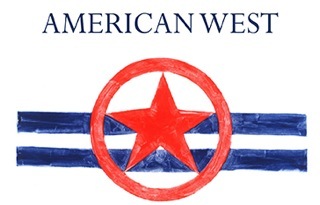 AMERICAN WEST. You are invited in the months ahead to join me exploring the diversity and wonder of wildlife and natural environment of western places through new prints, paintings, drawings, and story telling. This is the first image announcing the project. It is available as a blank card with envelope on the site marketplace!